Graphic organizers are a must for every teacher and sub to have. Luckily for us all, Laura Candler at Teaching Resources has just published a new book full of them. 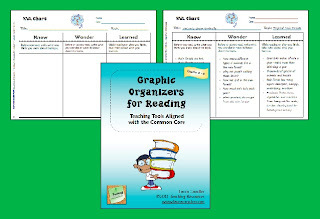 Graphic Organizers for Reading is jam packed with different types of organizers, along with instructions on how to use them. To read more, visit Sub Hub.